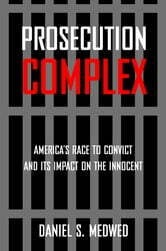 American prosecutors are asked to play two roles within the criminal justice system: they are supposed to be ministers of justice whose only goals are to ensure fair trials, whatever the outcomes of those trials might be—and they are also advocates of the government whose success rates are measured by how many convictions they get. Because of this second role, sometimes prosecutors suppress evidence in order to establish a defendant’s guilt and safeguard that conviction over time. Daniel S. Medwed, a nationally-recognized authority on wrongful convictions, has wrestled with these issues for nearly fifteen years, ever since he accepted a job as a public defender with the Legal Aid Society of New York City. Combining his hands-on experience in the courtroom and his role as a teacher and scholar in the classroom, Medwed shows how prosecutors are told to lock up criminals and protect the rights of defendants. This double role creates an institutional “prosecution complex” that animates how district attorneys’ offices treat potentially innocent defendants at all stages of the process—and that can cause prosecutors to aid in the conviction of the innocent. 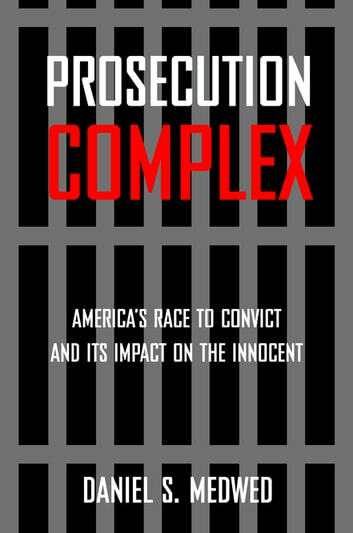 Ultimately, *Prosecution Complex *is not intended to portray prosecutors as rogue officials indifferent to the conviction of the innocent, but rather to explain why, while most prosecutors aim to do justice, only some hit that target consistently.